Skip the Dishes this Thanksgiving. Eat Out. You Deserve It. 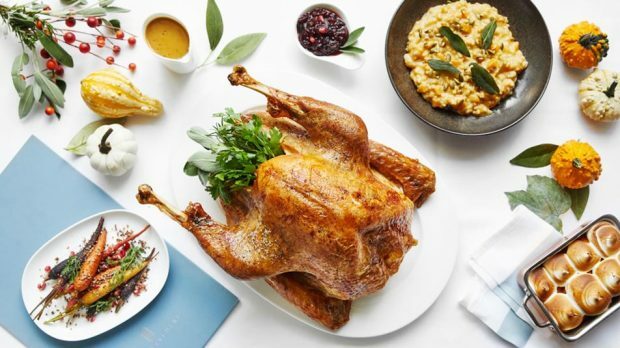 This Thanksgiving in Los Angeles, you may feel the need to get out of the house, leave your dishes clean and in their cabinets, cut the cooking stress, and go to a restaurant to be wined and dined. Go for it! You deserve it! Spend the day ice skating at Pershing Square, or hiking up to the Griffith Observatory, strolling through Descanso Gardens or catching one of Oscar season’s big films. Then check your coat and check into one of these fabulous LA restaurants for a Thanksgiving dinner to remember.